The company’s new Local Awareness ad features will be fascinating for businesses and depressing for the rest of us. Businesses can now include a map with their ad to show users where the closest store is in case they want that $12 dress right now. So far, so good. 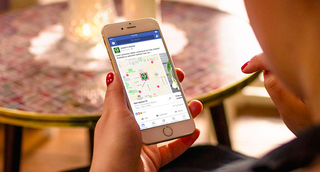 Then, Facebook’s Offline Conversions API will match in-store visit data (tracked using the phone’s location services) with Facebook advertising data. So, H&M won’t be able to see if you individually visited after its “store locator” sent you strong subliminal messages, but it will be able to match visits with the number of people who saw that ad in their feed and felt compelled to walk in. According to Adweek, early results from these features (which roll out in the next few months) are already good. French retailer E.Leclerc says it’s reached 1.5 million people within 10 kilometers. Of those, 12 percent of clicks (or about 180,000) led to visits within a week. That’s not a negligible number. This certainly isn’t Facebook’s first foray into location-based offerings for its advertisers. Last year, it launched a product that let businesses see how many (anonymous) Facebook users were within 150 to 1,500 feet of the store, along with demographic data, so they could tailor their ads. And in some ways, it’s just catching up to Google, which has provided location metrics for AdWords for years. It won’t be long now until we go full Minority Report with every surface in the real world projecting what Facebook thinks we want to buy.